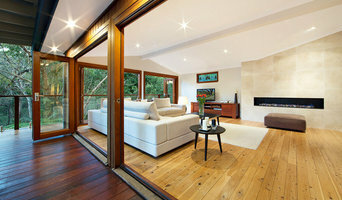 Sydney based commercial and residential real estate photographer of homes, offices, studios and commercial spaces. I work closely with real estate agents, owners, architects and builders to capture images that highlight homes and offices best features and functionality. Highlights include shooting the Bondi Boheme Precinct for The Toga Group and the architect wanting to licence images for use as well. Noel grew up in the film era of photography and enjoyed the creative work of the dark room, now computers take care of this with much more speed. The photography bug, bit in his teenage years, has re-emerged to become a driving force of passion for travel and real estate photos. For Noel, Travel Photography was a great way to relax, escape and broaden his knowledge of the world in which we live. 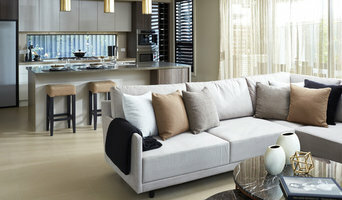 Following renovations of several houses in Sydney, his goal is to now show people how to best display their homes at sale time with stunning imagery. Noel returned to Australia after four months of travel in Europe in January 2015. Following his Australian employment for a multinational camera supplier and his passion for photography, he has embarked into the professional sphere. After 15 years in the corporate world, Noel and his partner relocated to The Gold Coast region in 2014. While looking at small business opportunities Noel found his passion aligned with Top Snap’s offerings, which is the passion to create great Real Estate Photographs. Noel is now the business owner of Top Snap North Parramatta and is looking forward to meeting and working with Real Estate Agents and vendors in the Central Sydney Area. We Frame Home Arts,Certificates,Sporting Memorabilias,Medals,Mirrors,Stretch Canvas etc.We also sell beautiful photos of our Local Eastern Suburb Beaches of Sydney.Come into our Art Gallery at Randwick,two doors down from Our Lady of the Sacred Hearts Church for a free quote or call us on 0293982163.Free delivery within eastern suburb areas. I'm an English teacher, but I've re-trained as a product and real estate photographer. I LOVE shooting houses! Commercial Photography Australia. Photography services in Sydney for local Retail, Shop and Showroom photography to show you at your best. City of Sydney Office Specialist. Photograph your office interior highlighting all your key features and or staff. Including reception area, staff desks, views and exterior or the entrance so your customers can easily find you. Retail and Store Photography. Photograph of your retail store's interior. Help customers find you easily. Merchandise in situ or being used, photos of signage and services, store manager serving customers. Let your customers become familiar with your store before they visit. Increase in store purchases. Get Results Online Photo uses include Social Media, Website, LinkedIn Business and Google My Business GMB Profiles. Giving your customers an insight into how you provide your services. V-Mark Design is a Sydney-based property marketing agency that offers a wide variety of solutions to real estate professionals for fabricating polished & unique marketing campaigns. We have a qualified & skilled team of copywriters, floorplanners and photographers who can even provide on-site services, and ensure guaranteed online delivery on the next day. Our multitude of services include: * Real estate photography * Virtual furniture staging * Product photography * 3D rendering * Wedding photography * Copywriting * Corporate events We also offer other complementary solutions like aerial photography, virtual tours, photo retouching, printed brochures, signboards, videos and graphic design. 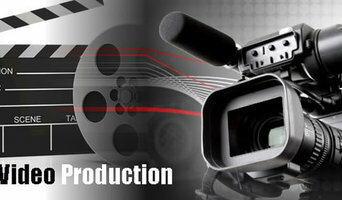 Our services are cost-effective, prompt and fully professional. Our immersive 360 degree virtual tours transport buyers into properties, allowing them to explore in 3D like never before. Engage your purchasers with cutting edge marketing and allow your properties to shine. In real life, we experience the environment spatially. Our brains constantly calculate distance, size and volume to understand the world around us. That?s where 2D photos and videos fall flat. 3D Insights virtual tours give clients more than just visuals ? they provide the feeling of actually being there. Our immersive virtual tours are not just for the real estate industry, in fact our tours can be used to present just about any indoor space, from attractions to architects and builders and even aviation or marine sales and charters. 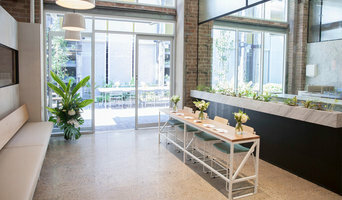 For more information please visit www.3dinsights.com.au To see one of our tours in action, please visit <a rel="nofollow" target="_blank" href="https://3dinsights.com.au/viewer/sothebys/14-thornton-street-darling-point/">https://3dinsights.com.au/viewer/sothebys/14-thornton-street-darling-point/</a> We operate all over the Sydney metropolitan, Central Coast, Blue Mountains and South Coast areas. "You never get a second chance to make a first impression" - Will Rogers We offer daytime and twilight photography. Twilight photography can create an excellent impression on your client, but not all properties benefit from twilight photography, which is why we offer both. black&white real estate marketing (bwrm) is a dynamic network of real estate photographers, videographers & drone pilots. We specialise in providing the highest quality photography, videos, floor plans, site plans, copywriting and almost anything else you need to market your property.